Letting those feelings out... just writing what you felt in the moment, or really going over the details! It can even be an old favorite, like mine above, that makes you feel good that you captured the feelings of the moment! 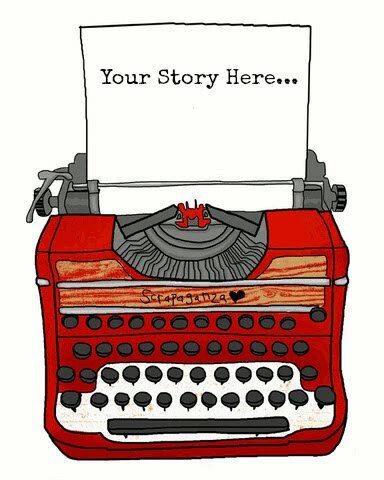 As we REALLY focus on journaling-and getting back to our roots, we want to see your creations telling your story! Tell us here in the comments and link up to your gallery upload! Like a challenge, we will be drawing from those uploaded by Sunday at midnight CST. Can't wait to see what ya got! Beautiful layout! I'm totally inspired now! Since you mentioned that we could use an old favorite I uploaded this layout. The journaling is :I think everyone that looks at this pictures sees one cold winter which it sure was and most of them were when I was growing up. This winter must have provided us with endless hours of sliding down the sidewalk from the top of her street to the bottom, the path was narrow and banked on both sides with really high snow. I look at this picture and see warmth because it's full of memories of being at my grandmother's house. Stepping in her front door you would be greeted with the smells of something cooking on her stove that was fired up with coal which we brought up from her cellar for it. She used to make the best homemade thick noodles that she hung over a clothes line in her kitchen to dry out. I have to say though that my favorite thing was her homemade frycakes. She used just the right amount of spices in them and then rolled them when they were hot in cinnamon and sugar. I liked the crisp donut holes that she made with the cut outs. Grandma canned vegetables all summer long and had a fruit cellar with the jars of tomatoes, pears, peaches , green beans and everything all lined up. The colors were always so pretty to look at and I never minded the request to go down and get them for her. It was from her that I got my love of sewing, quilts and reading. Her house never had a television in it so the time spent there was spent learning and listening. I didn't realize at the time that with her only having one grandson and one granddaughter how much attention we did get and lessons we were learning being with her. I've been a stalker of this blog for quite a while, but this is my first upload! So glad to have the time to play along. Journaling is my favorite part of every layout! "A Bend in the Road" and GD clues! A Day in Your Life!